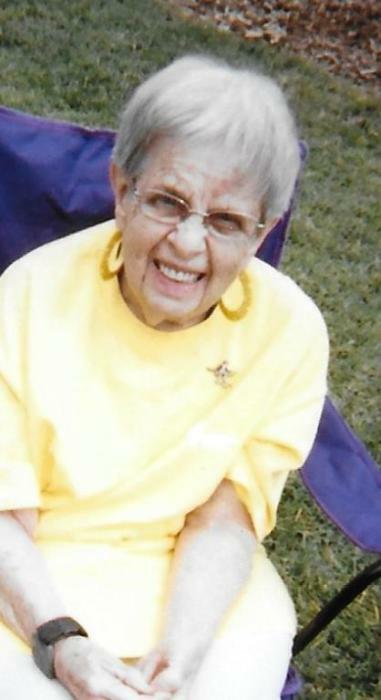 Wilma D. Roepka, 88, died Sunday, July 22, 2018 at Medicalodge of Kinsley. She was born December 3, 1929 in Offerle, KS. the daughter of Harry A. and Wilma (Nichols) Roepka. Wilma is survived by Special friend Mickey Hoskins and her Arrowhead West Family. She was preceded in death by her parents, a brother James Roepka and a sister Joyce Roepka. A Memorial Service will be held at 9:30am on Tuesday, July 24, 2018, in McKillip Memorial Chapel, Kinsley. Dr. Galen Boehme presiding. Burial will be in the Evergreen Cemetery, Offerle, KS. Memorial are suggested to Arrowhead West in care of McKillip’s.